I am sorry to say that magic simply does not exist… in practice! Performers and teachers can have an ora, or a magical quality about them, but the way they obtained that is not magic. Some are accustomed to thinking that the Chicago Symphony has some powerhouse brass players, but what that magical affect actually is, is a singular unit playing with heart and soul, together. The end product is magic, but often times the process is not. Many times while practicing I wonder “what is the secret to *any weak spots of my playing*?”. 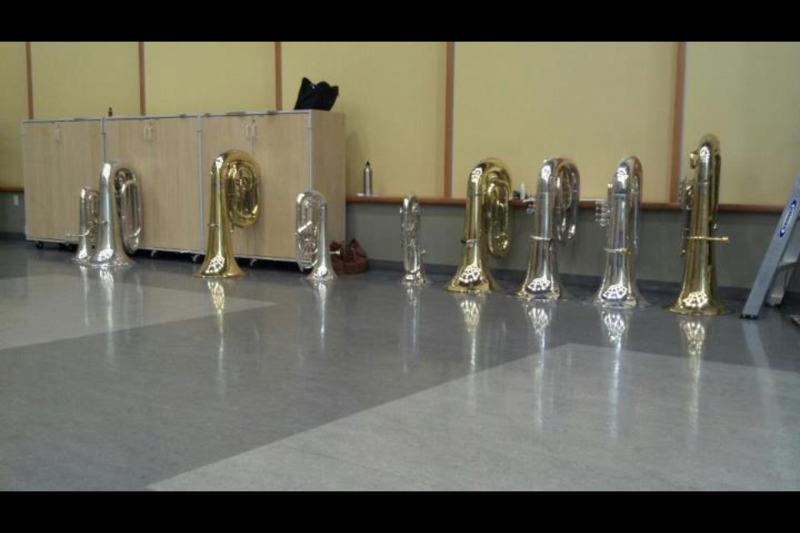 I sometimes assume that there is something that a God of tuba could tell me that would make it happen. Perhaps I’ll dig up an ancient box filled with golden mouthpieces, and the tuba of Arnold Jacobius, son of Tubagodius. This hasn’t happened yet. How do you get good? The answer is hard work. You must practice efficiently, frequently and with purpose. Set goals, reach them, then set more. Never forget why you began playing, though. Be the toddler who has no idea what a tuba is or who the Chicago Symphony is, but loves brass because its shiny. Just don’t poop your pants and cry. We may not get a letter delivered by owls saying we are invited to attend Julliard, or say Wingardium Levoisa and have a soaring high range, but we can practice our skills, meet giants (maybe tuba players), and Stupefy those with our sound… and then we can have magic in music.